Understanding ExtrACTIVISM surveys how contemporary resource extractive industry works and considers the responses it inspires in local citizens and activists. Chapters cover a range of extractive industries operating around the world, including logging, hydroelectric dams, mining, and oil and natural gas extraction. Taking an activist anthropological stance, Anna Willow examines how culture and power inform recent and ongoing disputes between projects’ proponents and opponents, beneficiaries and victims. Through a series of engaging case studies, she argues that diverse contemporary natural resource conflicts are underlain by a culturally constituted ‘extractivist’ mind-set and embedded in global patterns of political inequity. 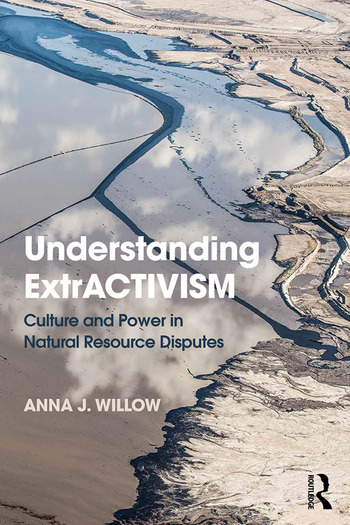 Offering a synthesizing framework for making sense of complex interconnections among environmental, social, and political dimensions of natural resource disputes, Willow reflects on why extractivism exists, why it matters, and what we might be able to do about it. The book is valuable reading for students and researchers in the environmental social sciences as well as for activists and practitioners. Anna J. Willow is an Associate Professor of Anthropology at the Ohio State University, USA. She studies how individuals and communities experience and respond to externally imposed resource extractive development.